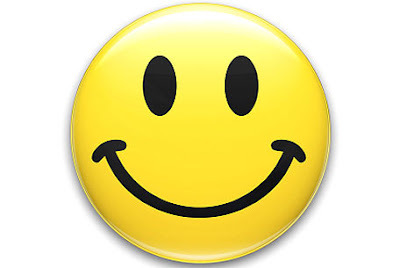 My Very First Blog: Are You Searching For Happiness? YAY! Finally FIRST in foong's blog! Wooohoo! We can be happy anytime we want... it doesn't have to mean that we need to reach our goal first then we can be happy. We don't need to wait until we have achieve our goal like earn the first million to be happy. Happiness comes from within :). See like now... I am happy! Finally FC in foogn's blog! Hahahah! Happy spamming away now too! Not everyday I get to be first here and it shows my first few comments! 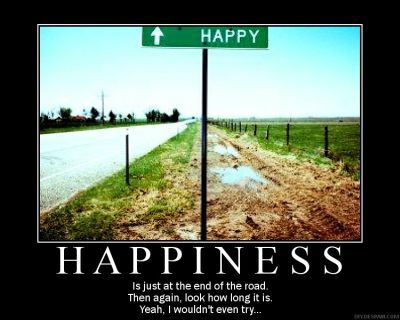 You will be happy if you are happy regardless what it takes to be happy :). Hehe... it's easier said than done. I am a Buddhist. I already know how to be happy - live in here-and-now; no remorse over the past; no longing for future... But my mind doesn't listen to me. Yes I'm trying to live in the NOW. But sometimes difficult. Mind can stray to the past and future. As long as people crave for things, they will never truly be happy. As for me, it's Friday and I'm always happy on Friday! LOL! foong, ur blog ah! so unbelievable lah.. just a few minutes after publishing a post.. millions of comments are in already!!! i know the theory of being happy - just that it is easier to be said than done. "Money is not everything. But everything needs money". To go for a leak you need to pay 30sen in shopping complex and some charges RM2, behind trees its FOC. It's your choice. Live in moderation by following the middle path. Have a great weekend foongpc. yes, i agree with that saying, our ultimate goal in life is to achieve happiness..
and all those health, wealth, beauty, success, glory etc etc are just substances, at that time then called goals, to help you achieve happiness..
we will have different type of goals in different stages, and that is also spelling how differently we will feel happy about them..
but what really is the ultimate happiness?? perhaps we might not know yet..
Good morning Foong, I saw ur tweet but too late la huhuhu! Cause just woke up mah! And right now I would love a vakasi and a new house! How? Asking too much is it? LOL! Dunno why oso...silly CL lol! Wah ladyviral FC here oso!! 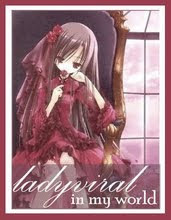 Hi Ladyviral!! bluedreamer27, yeah you are 2nd! Not too bad! Haha! Hahaha foong! Happy for me?! Oh yes I am definitely excited too! Finally, FC here! I wonder if I will get it again next time hahaha! Omg you put my picture up! Gasps! che-cheh, me sounded like Eckhart Tolle? Wow! I'll take that as a compliment! Haha! Btw, I love to read Tolle's books. Very inspiring. SK, the ultimate happiness is probably when we are of the highest awareness of who we really are. 1 million USD makes you happy? New house? haha! I know you've been talking about that! No, no, you are not asking too much! Ask as much as you want, but just be happy when you are asking! Haha! Thanks for confirming about the cL. OK, at least I know it's nothing wrong at my side. Good! ladyviral, of course I'm happy for you! I know you've waited a long time for this! Haha! About your photo, since you already revealed your face to the world, what's wrong with putting your face here? Haha! But if you don't like, I will use your avatar next time. Actually, I like to use different pictures every time, not so boring mah! Haha! kyh, what?! You are a guy? Haha! Yeah, a lot of people think I'm a gal. But that panda is actually a male panda!! Don't people recognize it's Jing Jing, that cute panda mascot from 2008 Beijing Olympics? Twitter? Nope :/ Somehow I am not into Twitting :P.
Hahah foong... well, revealed is one thing :P Having it on other people's blog FC is another thing haha! I believe happiness is over-hyped. Like others, happiness is neutral. You can feel happy about being happy or you can feel otherwise. Unfortunately, people normally associate happiness with material things or when something is acquired when there are lots of other stuff that can give us the satisfaction and peace of mind. Thank you for letting me change it :D. I am such problematic haha >__<. And oh, unless there's a tinge of bimbo-look-at-me-i'm-cute in your blog, then no, there's ntg wrong in ur blogging style. happysurfer, yes agree with you on that! Happiness should not be associated with material stuffs! Yay! changed.. see that picture looks so outstanding! So red... so framey! And my name is clearer too hahaha! Whereas "my" picture was so dark and dull :P.
ladyviral, I love people who spam my blog! Haha! I mean, spam in a nice way lah. Not spam me with products promotions and ads!! I will delete those comments! Otherwise, I never ever delete any of the comments here. As I said, it's not a problem, so don't worry. But I still prefer your photo. I don't mean that your avatar is not nice, just that a photo is always better than any avatars. Then again, I talk only. Cos if anyone dares to put my photo up there on their blog, I will surely kill them!! LOL! Nice and very thought-provoking entry, bro! It's important to have goals in our life. Only can there be meaning and a direction. Besides, why do you have my avatar in your comp?! And my picture too?! How many pictures have you saved up in your comp?! GASPS! STALKER! :P.
Well, I prefer you try to avoid to use my picture hahaha. You can use the beef I have in my recent post! That beef looks good! hahahaha! Oh and if you want! I can make more of my avatars and email them to you! hahahaha! :P.
I am a happy person and I feel sad easily too. Human ma..
Bananaz, or more appropriately, happiness is inside of us all the while. We just have to search within ourselves instead of looking elsewhere. If only we would realize it and develop the ground we are standing on before charging off in search of greener pastures. I have planned to write a post similar to this but seems like I would have to postpone. 2 important aspects here. The freedom to choose how we wanna feel and that happiness has always been within us. cheese! its a simple concept really. why frown when you can smile, and instantly feel the gratification deep inside you? whatever comes, take it lightly. life's full of challenges. don't compare with others. Whenever you get something significant, something else is taken away. - Principle of Equivalent Exchange. we only live once so just be happy no matter what..
Great article. 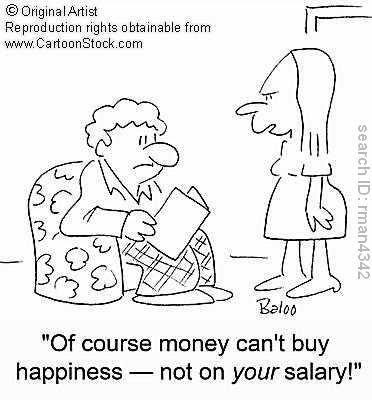 Yup, having one million bucks or achieving that slender figure or getting married doesn't guarantee happiness. One may have one million dollars or ringgit or pounds or Euros, but they could be having problems elsewhere. One may be thin but so what? Ah, there are countless other examples! I don't think that happiness is a destination either. To me, I believe that the journey itself contains happiness. The journey is happiness. The destination is just something extra, a bonus. Nowadays, people like to complain. Including me. But sometimes when we look back and think back of our problems, they aren't so bad at all. We learn from past mistakes and those mistakes shape us into who we are today. I always believe if you choose to be happy, no one will be able to make you sad. Kekeke.. He got me new extended lenses for LX3!! Didn't know they exist until recently. :P Check my blog soon to see if there's any difference. Haha..
leave this comment from Celebrity Fitness while waiting for witch, let's go for dinner together soon! by the way have you watched Pursuit of Happiness? You might like it. monica, you are a happy go lucky person? Oh, I like to be surrounded by people like you!! Haha. It's good and very touching...so inspirational.